I recently attended a course that our local school held all about parenting, and in particular parenting boys. It wasn’t the first parenting course that I’d been on, but as I’d found before I learn something new with each course and this time what I learnt was all around the role of play, and in particular play involving screen time. Some parents hear the words “screen time” and just assume that it’s all bad and something that needs to be limited for children, but I’m actually a little bit more relaxed than that. I agree that leaving your children alone to play mindless computer games or just watch TV for hours on end isn’t ideal, but a small bit of that is fine – after all we all need time to relax and shut down for a bit. However, I believe that games and television that actually gets children thinking and learning, and most importantly joining in, is actually a really good thing – if done correctly. I was intrigued therefore to be asked to help review the range of toys from Tiggly. 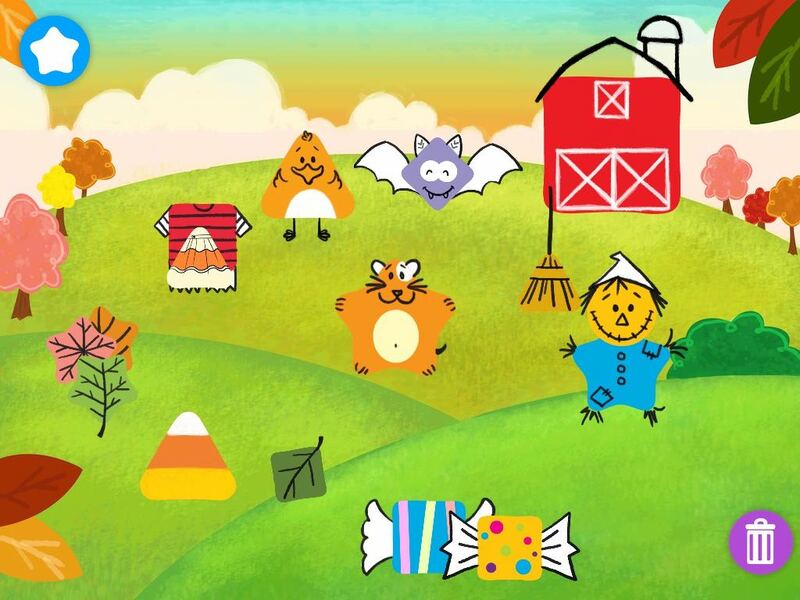 The whole point of Tiggly toys is that they take educational tablet apps to a whole new level. I was looking at three toys in the range: Tiggly Words, Tiggly Math and Tiggly Shapes. 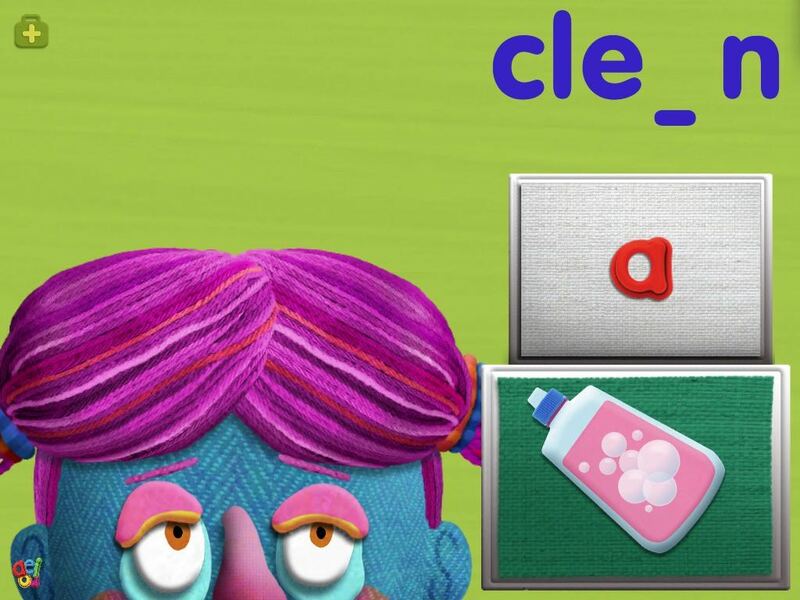 Each contains a number of very tactile plastic Tiggly toys which then work in conjunction with apps that you can download from the Apple App Store or the Google Play Store. It makes sense to look at each in turn as there’s so much to say about them all. Tiggly Math was the first of the three that Little Miss C chose to play as she’s a huge numbers fan. There are five maths toys in the set – for the numbers 1 to 5 – and each one is made of a sturdy plastic with a brightly coloured rubber outer. Each unit is denoted by a single round shape with a hole in the middle, so the five piece is five of these units stuck in a line. 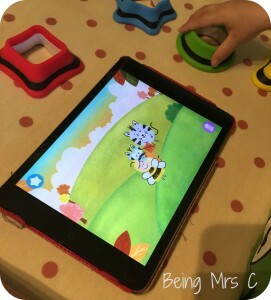 The toys work together with the apps Tiggly Chef, Tiggly Adventure and Tiggly Cardtoons: Learn to Count. Little Miss C’s first comment about Tiggly Maths was to ask why they didn’t look like Numicon. Now, if you’re not familiar with Numicon I should explain that it is a fantastic maths tool that many schools (including my daughter’s) are adopting to assist in the teaching of maths. Each number between one and ten is depicted with a different coloured plastic shape, with the number of holes denoting its value. I realise that Numicon will be copyrighted etc etc, but I thought it really interesting that when LMC saw plastic toys denoting numbers her first question went back to Numicon. Maybe it’s possibly project for Tiggly and OUP to join up on in the future? 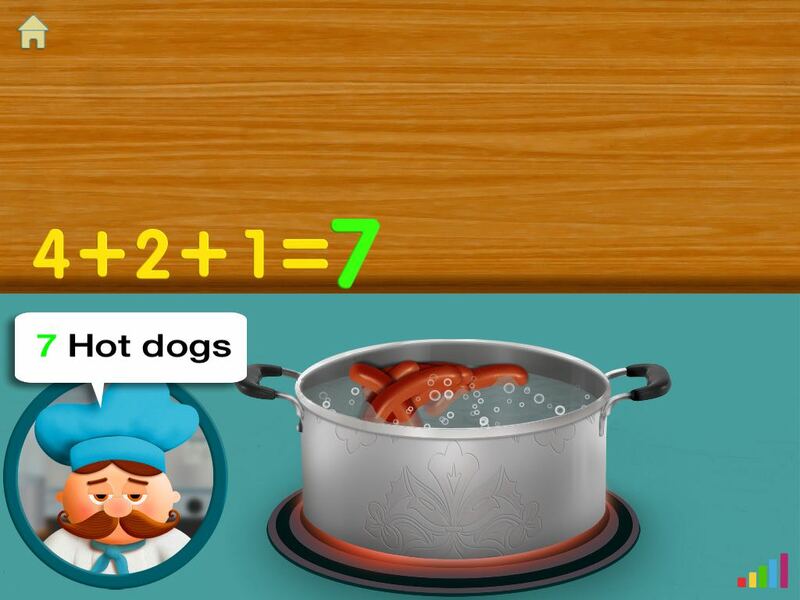 Tiggly Chef was a great fun app that helped LMC familiarise herself with the maths toys and also to concentrate on what was going on in chef’s cooking. Rather than just tapping the first thing that came on screen she needed to wait until the right things came on screen and this was actually a really good test of her patience too! I liked the fact that children could either put down the toy for the exact number or make it up from smaller numbers. A great way of showing how numbers add together. LMC absolutely loved the Tiggly Adventures app. I did have to explain the concept of using numbers to work out how big the gaps were that the character had to cross and that she needed to use the maths shapes to help her to help him, but after showing her with the first couple she quickly picked it up. It was also really good to see how the app dealt with when she made mistakes and how it encouraged her to learn from them. She was soon understanding the patterns needed to make successful bridge crossings – spotting that blocks that she couldn’t stop on without falling in the water below – and thinking about the number bonds and number sentences that she had been learning at school and how these equated to the game. 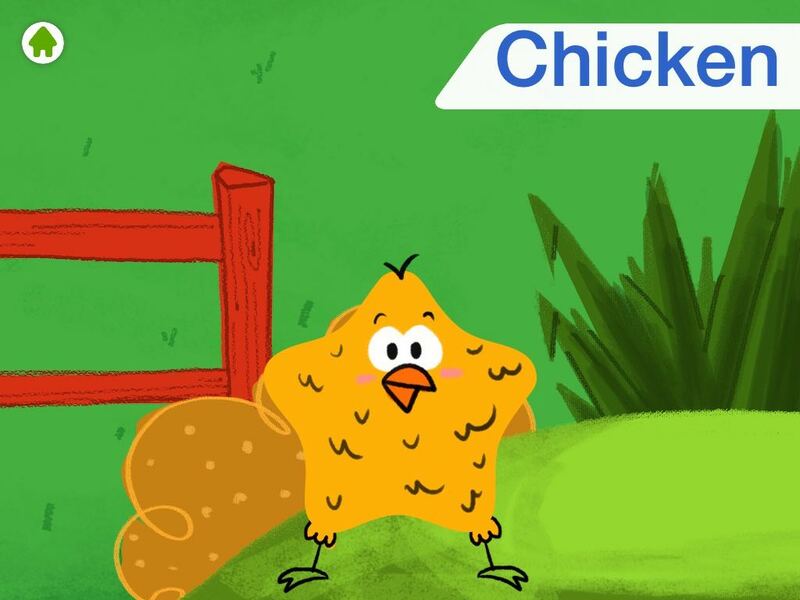 Tiggly Cardtoons: Learn to Count brings numbers to life through some brilliant cartoons. It was a perfect app for Master C to use as it helped to teach him to have a bit more control when using the iPad and also to practice the counting that he’s been developing over the last few months. The cartoons were like a reward for him when he’d done what the app was asking him to do and he was really proud when he saw that he’d made it come on. In Tiggly Words you have five letter shapes which are the vowels a, e, i, o and u. Like the maths shapes, each is a different bright colour and again they’re very very tactile. There are three different apps that work with Tiggly Words: Tiggly Doctor, Tiggly Submarine and Tiggly Tales. 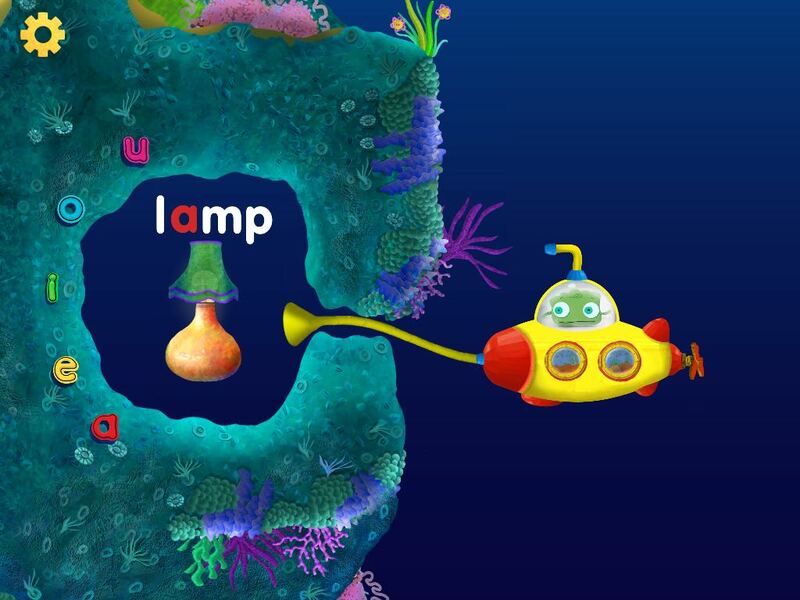 We started playing with the Tiggly Submarine app and to be honest at first I just wasn’t quite sure what there was to do in there. Little Miss C must think differently to me though as she just dived straight in (excuse the pun) and started exploring the under sea world and discovering the word games in there. 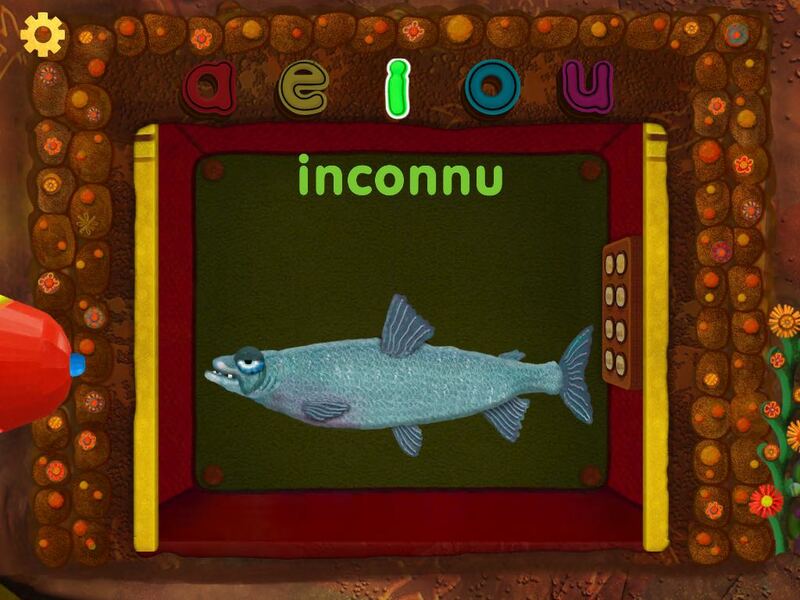 The games all centre around the use of the vowels, either in the middle of words or at the start or words and they were really good at making LMC think about the letters that make up words, and by sitting along side her whilst she played I was able to encourage her to sound words out loud as she went along and practice her reading too. In Tiggly Doctor children act as doctor to help make the patients better by placing the correct vowels into the words for what the doctor has to do to the patient. So for a patient who comes with teeth problems the words included check, flick, numb and pluck. There weren’t all words that LMC was familiar with in that context, but it certainly stretched her learning somewhat – both in terms of letters and sounds and specific vocabulary. Tiggly Tales is all about using letters to create words and then animating the words you create. You can then drag your creations around the screen and interact with them. You can even build your own animations with what you’re created and record your voice narrating it. The possibilities are endless and brilliant for encouraging children to come up with their own stories. LMC absolutely loved this and got quite upset when I had to drag her away at bath time! 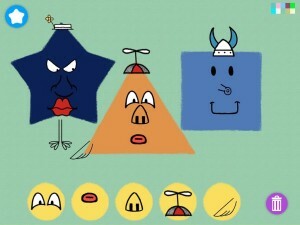 Now, if LMC took the lead on Tiggly Math and Tiggly Words, Tiggly Shapes was Master C’s domain. He watched his sister with interest on the other two, but this is where he came into his own. At nearly three he’s very confident with shapes and loves it when we draw shapes for him and then turn them into other things. Tiggly Shapes contains circle, square, triangle and star shapes and works with the apps Tiggly Safari, Tiggly Stamp and Tiggly Draw. Tiggly Safari leads the children through placing different shapes on the screen and then creating animals from them. Master C loved the fact that he knew the shapes and got very excited when he saw them being turned into other things. The other interesting thing with Tiggly Safari is that you can also play it in a bilingual version – not something I thought we should try just yet in our household! 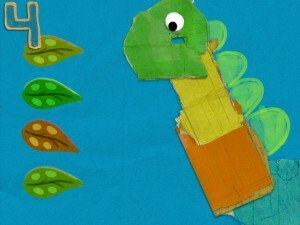 In Tiggly Stamp children create new creatures and objects, in one of two different environments, based on the toy shapes that they use on the screen. Then, much like in Tiggly Tales they can create their own stories with what they have created and save pictures and record animations. The kids didn’t realise this at first, but I can see they’re going to have a lot of fun doing so. Tiggly Draw has you using the shapes as the basis for Mr Potato Head style creations, but then the added genius is that the characters you’ve created make sounds and play music too. It’s totally wacky, but a great way to have fun with shapes and to be inventive with facial features. Both kids absolutely loved this and after initially having to implement a taking turns system with them both I was delighted to see that they soon were working together on the iPad to build a lovely set of characters that had both of them laughing along. Overall, I really like Tiggly toys and the way that they make the whole app experience so much more tactile for children. Rather than just jabbing a finger at a tablet screen, children need to be picking up physical toys and I believe that actions like these will help them learn more from the experience. The toys themselves are very well made and have a quality feel to them. They’re just the right size for small hands to hold and manipulate them, but also not too small that they get lost too easily in a house full of toys. My only sticking point would be the price. They all retail with an RRP of £24.99 each and that does seem a lot at first for what is essentially some clever plastic shapes. All the Tiggly apps that you use the toys with are free to download when you buy the toys, and whilst you can play the apps without the toys I strongly believe that the toys do enhance the app experience so much for younger learners like my two. Having seen how much both LMC and Master C have got out of the toys and supporting apps in just the few days we’ve been reviewing them I can see so much potential going forward and expect that we’ll be using the apps and the toys for a fair while and in many different ways. When you bear all this in mind I think it makes the price seem more palatable, but I think that it may be hard to see that benefit initially – and hence I hope that’s where this lengthy review will be helpful to anyone considering buying them. 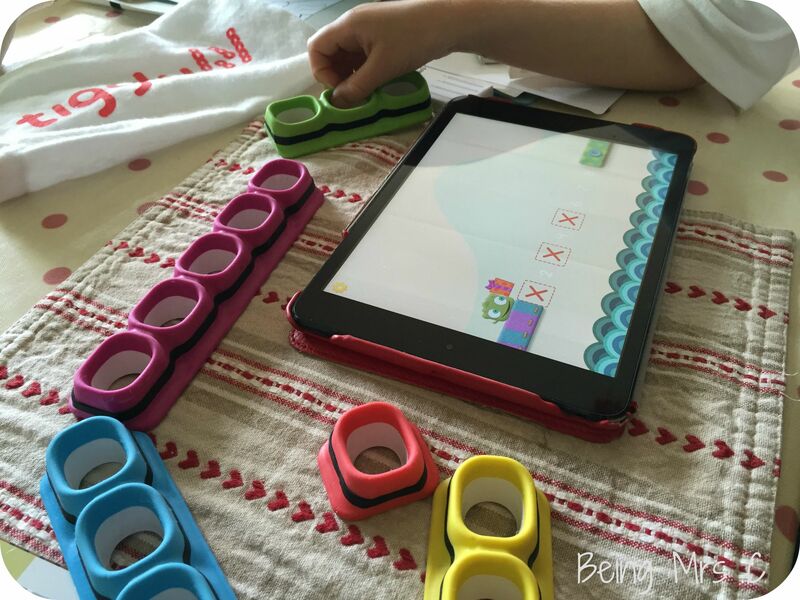 It’s no surprise that Tiggly has been recommended by the experts at Fundamentally Children for the way in which they combine physical toys with apps to enhance the learning opportunities for children. I also found it interesting to see how accurate the recommended age ranges on the three toys are. Tiggly Shapes is listed as for 2-5 years old, Tiggly Maths for 3-7 year olds and Tiggly Words for 4-8 years old and I think they’re actually pretty spot on. Master C is just a couple of months off being three and loved Tiggly Shapes. He was starting to get to grips with some of Tiggly Maths with the Tiggly Chef app, but Tiggly Words was beyond him. LMC at just five years old was pretty much the right age for all three and that showed in how much she got out of all three of them. I’m confident that Tiggly is going to be around in this household for a fair while now, and I’m actually quite excited about how much I think my kids are going to enjoy and learn from the experience. Tiggly is officially launching in the UK on 24th July 2015 and they are holding a special launch event at 9am UK time on QVC. Don’t miss it if you want to see Tiggly in action. Tiggly Toys will also be available via Amazon, Apple and Currys. And, if you’re interested in seeing how others got on then Kelly over at Dometic Goddesque and Cat at Yellow Days have also been testing out Tiggly. All links in this post are to the iPad versions of the games, but they are also all available on Android devices.